Home » Archive by category "Fruit and Jams"
I can’t help thinking that fruit is the sweetest gift that Nature has given us. While I enjoy all types of fruit in its natural state, I also like to be creative with it. This salsa is made with strawberries, nectarines (or peaches), green onions, Serrano chiles, lime juice, agave nectar and olive oil. It pairs well with meat, fish and poultry. 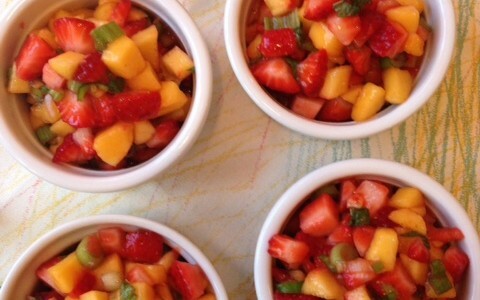 Serve this strawberry-nectarine salsa at your next cookout! 1. Working on a chopping board, cut each strawberry in half, vertically. 2. Chop the strawberry halves into 1/4-inch pieces and set aside in a 2 to 3-quart mixing bowl. 3. Cut the nectarines into 1/2-inch thick slices. 4. Cut each slice into 1/4-inch pieces and add these to the strawberries in bowl; set aside. 5. Cut the onions into thin circles (about 1/8-inch thick) and add them to the chopped fruit in bowl. 6. Add the chopped Serrano chiles and lime juice to the fruit mixture in bowl. 7. Gently stir in the agave nectar, olive oil and salt. 8. Stir the salsa thoroughly and taste it. Adjust seasonings, if necessary. 9. Serve salsa immediately or refrigerate it up to 3 hours ahead. NOTE: This salsa will last until the next day. Howevever, the fruit’s texture will change. 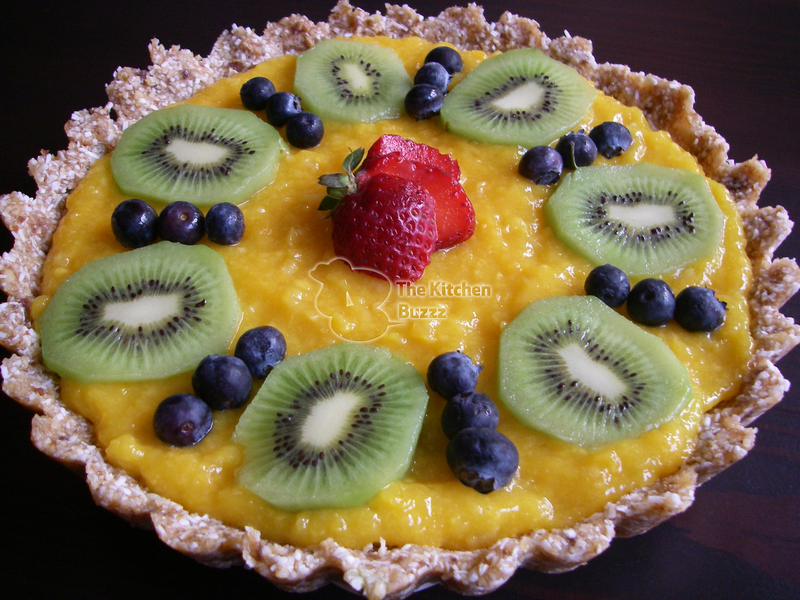 Sometimes I just don’t know where my tastebuds are headed – do I want sweet or savory foods? Maybe I want both. For this salad, I used three types of melon: cantaloup, honeydew and watermelon. Then, I added red onion, lime juice, salt, pepper and Feta cheese. The flavors in this salad definitely satisfy a sweet or savory palate. Enjoy this refreshing salad all summer long! 1. Place the sliced red onion in a bowl with lime juice; set aside for 5 minutes. 2. After 5 minutes and in a separate bowl, combine the diced melons with red onion and slightly toss. 3. Top the melon and onion with Feta cheese and black pepper. Taste. 4. If needed, add a little salt (1/4 teaspoon); taste again. Adjust seasonings and serve immediately. 5. This salad pairs well with fish or poultry. Don’t you just love homemade jams and preserves? Making them is easy, too. For a quick strawberry jam, all you have to do is boil the fruit with sugar. In no time at all, you’ll spoil everyone who tastes this delicious concoction! 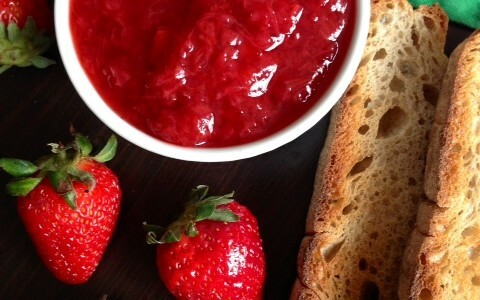 Enjoy Quick Strawberry Jam on toasted bread at breakfast, or whenever you feel like having a natural snack. 1. Remove and discard stems from strawberries. 2. Rinse the strawberries; cut them into fourths, lengthwise. 3. In a 2-quart sauce pot, combine the strawberries, sugar and cinnamon; stir with a wooden spoon. 4. Bring the strawberry mixture to a boil; immediately reduce heat to medium and stir. 5. After reducing heat, cook the strawberry mixture for 3 to 5 minutes, stirring occasionally. 6. After 3 to 5 minutes, using a hand masher, mash the fruit. The mixture will now have liquid as well as pulp. 7. Cook the strawberry jam for an additional 7 to 8 minutes, stirring occasionally, until it has reduced and thickened. 8. Transfer the hot jam to a glass bowl or jar. Partially cover the bowl or jar (this will let the heat and steam escape). 9. When the jam has cooled completely, store it in a glass container with a tight-fitting lid and refrigerate it up to one week. Note: the consistency of Quick Strawberry Jam will appear more runny than conventional jam (this is due to no thickening agents being added). What shall we make of all this quince? On my end, I’m changing up the usual condiment of “cranberry sauce” served with Thanksgiving turkey. Instead, I’ll make Quince Preserves. In Spanish, this is known as dulce de membrillo. The Spaniards have long been experts at making dulce de membrillo . Of course, they didn’t get the turkey until after Columbus went back and forth a few times from America to Europe. However, we’ve got both the bird and the quince. Delight and surprise your guests this year when you serve Quince Preserves alongside that yummy turkey. Happy Thanksgiving! 1. 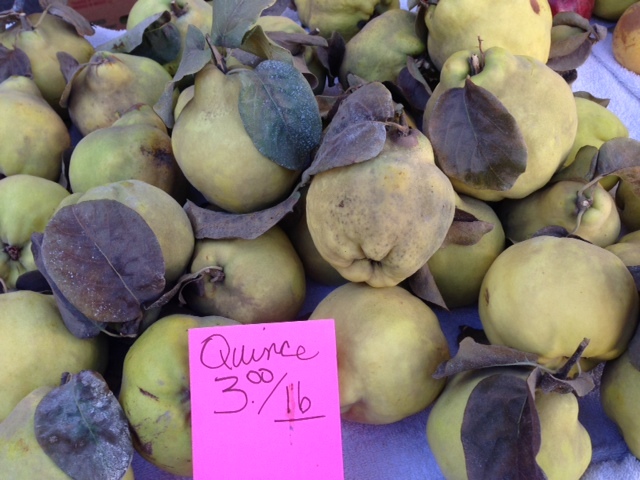 Place quinces in a 5 to 6-quart sauce pot, covered with cold water. 2. Cover sauce pot and bring quinces to a boil. 3. Simmer for 30 to 40 minutes or until the quinces are tender – test by inserting a pointed knife into center of one fruit. 4. When tender, drain and cool the quinces for about 45 minutes. 5. When quinces are completely cool, peel and quarter them. 6. Remove seeds and finely grind the quince fruit in a food processor. 7. Transfer the processed quince pulp through a sieve. 8. Place the strained quince pulp in a heavy-bottomed skillet or sauce pot. 9. Add 1-1/2 to 1-3/4 cups sugar to the quince pulp in skillet or sauce pot and mix with a wooden spoon. 10. Cook the quince-sugar mixture over lowest heat setting for about 30 to 45 minutes, stirring occasionally, until it becomes thickened. 11. 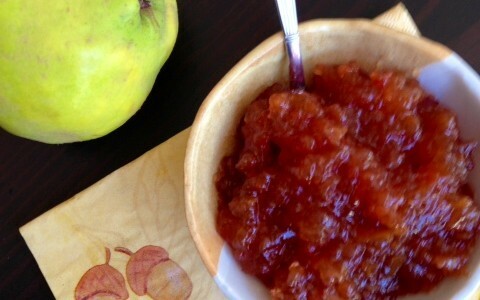 Pour the quince paste into a heatproof glass jar or bowl and cool. Serve or cover tightly and refrigerate. Note: Quince paste keeps for 2 to 3 weeks in refrigerator. Serve with turkey. Alternatively, as an appetizer, quince paste can be served alongside cheese and wine.